Exceptionally located in the Cordoba hills, La Rosada Lodge is within walking distance to the Ischilin’s attractions and beautiful landscape. Look no further for an impressive old Ischilin town – this lodge is home to a large park and natural garden spaces. While you’re here, enjoy Argentinian cuisine in our restaurant, relax in the pool, or just unwind in your rustic stylish guest room. 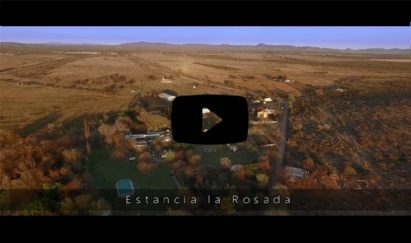 La Rosada is located at 70 miles from Cordoba international airport and no more than 30 minutes from our best dove hunting area (Macha). We are surrounded by mountains with beautiful views. From the moment you arrive in Argentina our service is personal and professional. La Rosada Lodge’s restaurant offers an indulgent selection of authentic Argentinian dining experiences. We invite you to visit us and enjoy typical delectable dishes. Our plates are inspired in Argentinian and Italian food. Created using fresh and nutritionally balanced ingredients, La Rosada Cuisine dishes contribute to optimal health and wellness.